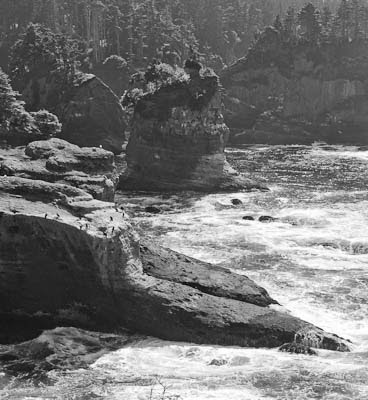 Cape Flattery is the most northwestern point on the continental United States. 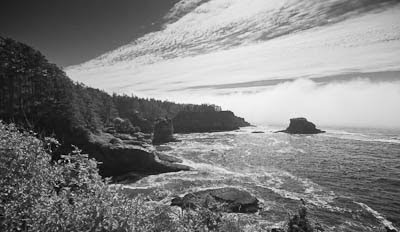 It is a spectacular area, with abundant wildlife, dramatic seascapes and a picturesque lighthouse on Tatoosh Island. The parking area is on Makah Indian Reservation land, so you need to purchase a permit in Neah Bay before driving out. After a short walk through a spruce forest, there are a number of very nice observing platforms built by the Park Service, and are very stable for photography. It was an Oystercatcher convention. 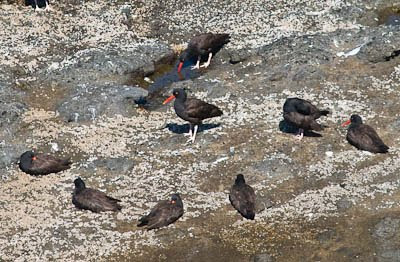 The naturalist related that they have counted over 80 Oystercatchers from the main observation platform. The platform is quite high, so it's a good idea to bring binoculars and/or long lenses for your camera. 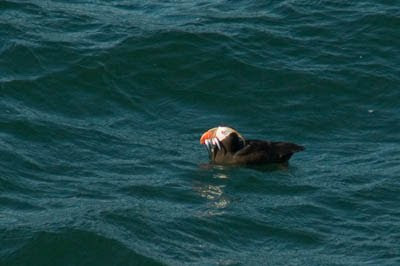 Although quite far, I was able to get a few shots of Tufted Puffins diving off shore. Puffins are great to watch. They can be seen catching and sometimes holding numerous fish in their beaks, and then flying them back to the nest. This is a cropped shot with a 600mm lens. Interesting fog and clouds rolled in, with the fog obscuring the lighthouse. This scene is looking south. 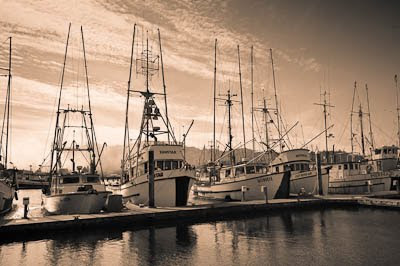 We stopped again briefly in Neah Bay in search of fresh salmon before heading back to Lake Crescent.